Tory MPs are to discuss with ministers what will happen in the event of a no-deal Brexit – amid calls for Theresa May to honour “assurances” to them. The government averted a rebellion on Tuesday over whether Parliament should have a decisive say in such a scenario. MPs said they were offered, in a last-minute concession, real “input” if no deal with the EU was done by December. 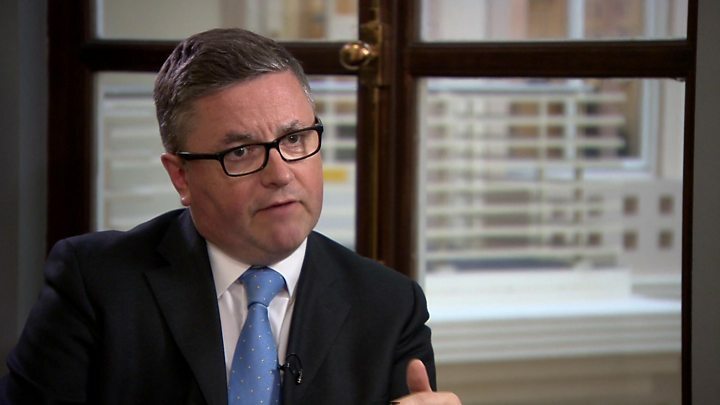 But Solicitor General Robert Buckland said while talks may “yield fruit” – he could not guarantee a change in policy. While promising “further discussions”, he said he was concerned that empowering Parliament to “instruct” ministers what to do in the event of no deal would leave the UK in “very rocky constitutional territory”. The UK will leave the EU on 29 March next year. The BBC’s political editor Laura Kuenssberg said she had been told by a government source that no actual concessions had been agreed, and the only agreement was to keep talking. Remain-supporting Conservative Anna Soubry, one of the MPs who met Mrs May on Tuesday, said she trusted Mrs May to “honour the undertaking she gave”. The government, which has promised MPs a “meaningful vote” on the final deal, avoided defeat on the issue on Tuesday as it overturned a series of amendments to the bill made by peers. The victory – by 324 votes to 298 – only came after public haggling between ministers and would-be rebels and a meeting between Mrs May and more than a dozen Tory MPs. Former Tory cabinet minister Dominic Grieve, who tried to broker a compromise between MPs and ministers, has warned a no-deal scenario could lead to a “national crisis”. In such an event, he said Parliament should be able to flex its muscles by requiring ministers to come forward with a plan of action, which MPs would be able to debate and vote on. “I expect the government to honour its commitments and I expect the PM to honour her commitments and I have no reason to distrust the approach she took with us,” Mr Grieve told the BBC’s Newsnight. Fellow MP Antoinette Sandbach rejected suggestions by leading Brexiteers in her party that this would tie the prime minister’s hands in negotiations. “What it does is put in place a structure if things do not go as planned,” she said. 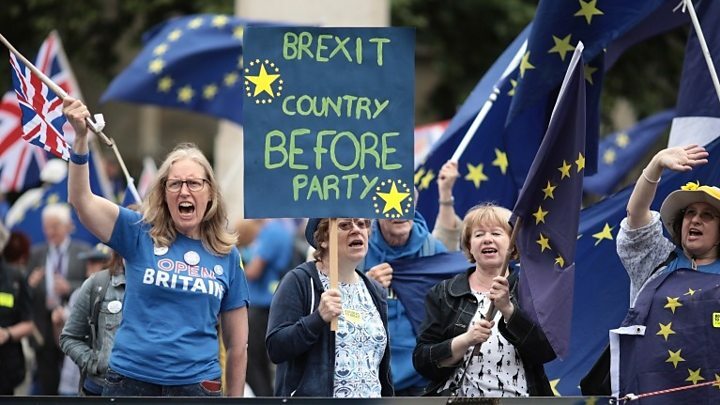 But Tory MP Andrew Bridgen, a leading Brexit backer, said the concessions could “come back to haunt” the government if they amounted to a veto over the terms of the UK’s departure. Jacob Rees-Mogg, chair of the influential European Research Group of MPs, urged Mrs May to reject outright Mr Grieve’s further call for MPs to effectively take control of negotiations in the last resort if no deal is agreed by February 2019. He said a concession of this kind would have been “revolutionary” as the Commons cannot override the government when it came to negotiating international treaties. Asked about what had been promised, Mr Buckland, the solicitor general, said the government remained “open-minded” but he would not “blithely” commit to any changes until he had had those conversations. He rejected suggestions ministers were already backtracking on promises made to MPs, insisting he did not want to raise any “false expectations”. During a five-hour debate, MPs reinstated the precise day the UK will leave the EU – 29 March 2019 – in the proposed legislation while backing an amendment on the Irish border, guaranteeing there will be no new border arrangements without the agreement of the UK and Irish authorities.